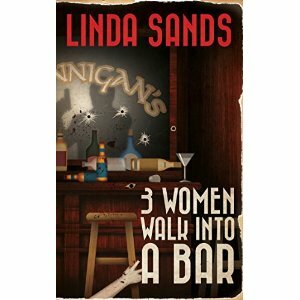 "3 Women Walk Into A Bar," by Linda Sands, is a murder-mystery that revolves around the peculiar deaths of three beautiful women…and the dead man with a gun beside them. The protagonist, Bill “Free Willly” Tedesco, is a PI with a very unique past (he was a stripper...). As Bill delves deeper into what happened that night, the situation grows more and more complex. Sands writes in first-person with a film-noir tone, really setting the stage for Bill’s witty, cynical, and often-funny voice. I’m a big mystery reader and was really caught off guard with the twists and turns of the plot. Excellent pacing. Sands has stormed into the mystery genre with this successful debut novel that is sure to delight mystery fans. A must-read!